ST. GEORGE — As the nation’s fastest-growing city, St. George is seeing the side effects of exponential growth in the form of increased traffic throughout town. Recognizing the impact such growth has on the safety of the city’s roads, city planners have isolated several intersections where new traffic signals will be installed. During a public meeting Thursday, the St. George City Council approved bids to begin erecting four new traffic signals. 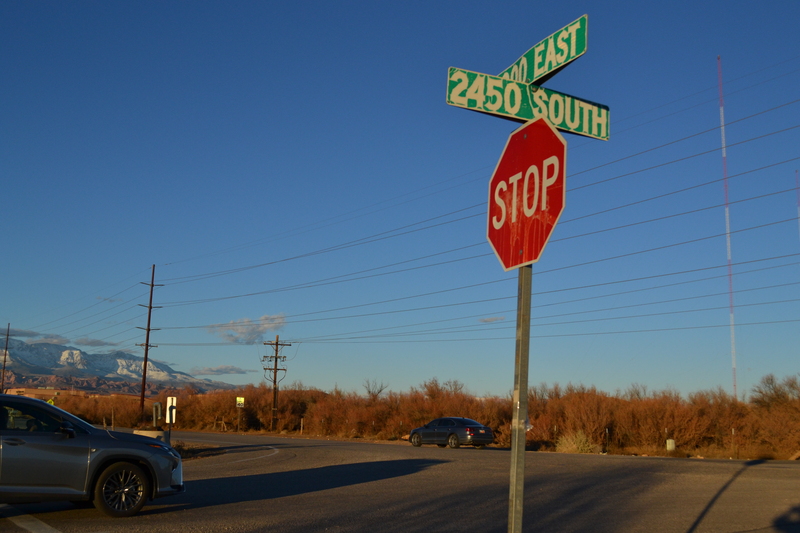 Three of the new signals will be installed along 3000 East at 1450 South, 2000 South and 2450 South. The fourth signal will be installed near Dixie Regional Medical Center’s new cancer center at the Medical Center Drive and Foremaster Drive intersection. The new traffic lights were deemed necessary at the four intersections after extensive traffic studies conducted under the direction of Public Works Director Cameron Cutler. In particular, 3000 East has become a major corridor for many of the growing communities in the city’s eastern end. This, combined with anticipated future growth in the area, has made increased traffic control along the road a necessity. “It’s a very busy corridor,” Mayor Jon Pike said. Councilman Ed Baca said the city has also taken into account feedback from city residents who’ve pointed to areas of heavy traffic. The council unanimously approved the bids submitted by various contractors. The 1450 South-3000 East intersection went to Interstate Rock Products for $80,109.27; 2450 South-3000 East went to Feller Enterprises for $122,931.42; 2000 South-3000 East also went to Feller Enterprises for $185,446.94; and Medical Center Drive-Foremaster Drive went to Progressive Contracting for $56,996.87. The bid amounts are only a portion of the overall cost of each project. When factoring in equipment the city has already acquired for the projects, Pike said each intersection will cost between $200,000-$300,000. 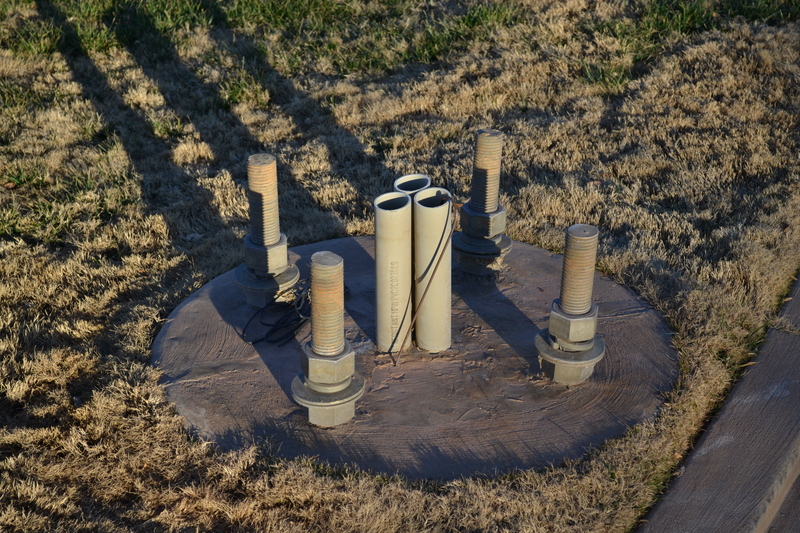 The one on Foremaster Drive will cost slightly less because bases were already installed previously. Pike said work on the traffic signals will begin shortly, noting that there could be more lights installed in other areas of town in 2019. Lights are all well and good, so long as people obey them. Hopefully the city/ county will also be investing money in real deterrents like intersection cameras to catch speeders, red-light runners and the always present texter. Just think how much money would be brought in from the 300-400 scumbags who run lights every day in this town (never mind the 5-6,000 that speed at 10-20 mph over the limit). Or better yet just build a wall in the Gorge and put a stop to the Felons flooding up here. ?! See how easy that solution was? Just say no to big brother! There are more important issues than burdening the populace with a nuisance like cameras. Perhaps you heard all the good and none of the bad. Look at all the accidents going back a few months, how many are “running a light” related? Very few, IIRC. More likely taking a corner too fast with a large load, distracted or texting. Cameras aren’t going to catch texters, what would be better is if officers got to check phones for play during travel if involved in an accident. Burdening the populace win cameras? Don’t want a ticket, don’t run the light. No burden. Every time you read this news, there’s someone running a light. River Rd and Riverside is horrible for that. I guess you and I recall current events differently. Red light cameras are touted by the camera manufacturers and law enforcement agencies which profit from them. These cameras have actually led to an increase in accidents in many cities, since drivers either speed up or slam on the brakes at yellow lights in an attempt to avoid tickets. The perceived benefits have been disproven in cities where these cameras have been tried. This includes Los Angeles, Chicago, Philadelphia, and Washington D.C.
Is the police force fully staffed? No one wants to be a cop when the pay is low and the state ruined the pension system. They come to work here, get some experience and move someplace tha pay is better. Same with St George Fire Dept…. how many people knew half of the stations are empty every day? FINALLY, someone who agrees it’s time for cameras. I agree its very Big Brotherish. But we have so many people who run lights, its time to hit them in the wallet. firstly, if everyone is obeying the traffic signals, then no revenue is generated. Obey the law and you dont pay a dime. Second, so what? If we need to hire more traffic cops (to write reports because of crashes caused by red light runners) then let the people causing the problem pay for it. Over the last months, traffic on 3000 E has considerably increased. Glad to see the city is thinking ahead and installing lights sooner rather than later. What to do about people who run lights (sober, btw) I don’t know; guess you can’t fix stupid and selfish. Applies to those who drive carelessly as if a job, not the rest of us that make a honest mistake occasionally. You could install cameras and hit the red light runners right where they’ll feel it most, their wallet. Of course, you right-wingers would NEVER approve of that though. I wonder why that is. Although cameras would work Anniemated, they would also have a devastating inpact on the increase in occupancy ar the local Pergatory jail as well, (due to tickets going to warrant) The local community would be against it because it would force them to slow down. There is a real issue with ignoring stopsigns in this county. It is epidemic. At the very least almost half of drivers roll through them, and slow down to 5 mph and then proceed. 5-10% ignore them altogether, especially in residential areas. Signals actually work most of the time. I have to do two double takes pulling out of my driveway. As in between that few seconds of time, one of my more callous neighbors can blow through the stop sign a block down from my house, making a quick right turn, and be situated in the blindspot of my truck due to a shell on the back. In the past my neighbors have almost been hit pulling out of their driveway. And let’s put it this way, on the first glance no one is in site, so you would think you should be ok. Not in these parts. People dont think about other drivers. That is why in official polls, Utah drivers are pegged as some of the rudest drivers in the USA. It is not their attitude, rather it is their callous behavior towards safety, and generations of passing along the same bad driving habits. Time to get rid of the blinking yellow left turn arrows and include FULL GREEN and RED ARROWS at all these NEW intersections, especially if they have center turning lanes. Nothing wrong with a yellow left turn arrow. It’s yellow. What did you learn in drivers ed? Yellow means caution. If we went backward to just green and red arrows, people would forced to sit at the light when here’s no oncoming traffic. Traffic congestion would get worse not better. There isn’t anything wrong with a left yellow turn arrow if people are actually cautious, however many of the accidents in St. George are exactly because there isn’t a turn only arrow. Traffic wouldn’t back up and cause more congestion. The north/south bound intersection of Bluff and St. George Blvd. are turn on green arrow only. The Riverside Dr. and St. George Blvd. are turn on green arrows only. How many accidents have happened at these intersections because of someone making a left turn in front of a oncoming car? If I have to wait an extra minute or so to go through a intersection but not have to worry about someone pulling in front of me, it’s worth it. Take a look at the city of Hurricane. There were several blinking yellow left turn arrows, one in particular at the corner of SR9 and the Walmart. All were removed last year and I believe it was due to a recommendation by the Hurricane PD. People didn’t obey them and/or didn’t understand them……thus accidents were through the roof. The change to red/green arrows seem to have helped a bit but now we sit waiting for the turn light to change. In addition, timing of all the lights goes back to the Stone Age, which doesn’t help either. Pa Triot, do you know what the numbers are regarding the left turn accidents? Is there a website where these numbers can be verified, I’m guessing the turn left on green arrow only helped more than a bit. If the City of Hurricane enacted this light change and there is a substantial difference in the number of left turn accidents, you have to wondering why this change hasn’t been made at more of the intersections. St. George City already has left turn arrows at most intersections, it would probably be quite simple to change them to turn only on green arrows. The writing is on the wall, when someone is seriously hurt or killed because of someone making a left turn in front of them, the Cities will be held negligent and there will be lawsuits. In the long run sitting at a light and waiting for it to change with a left turn on green only may seem like a waste of time, but just think of the time spent with insurance, possibly doctors and more insurance and auto repairs if you are hit! More than likely you could wait that extra time at a light and never make up for all the time spent dealing with a accident. I don’t turn left af that intersection often, but yeah I liked having the blinking yellow light. It’s sad that there are so many unintelligent people that don’t obey simple traffic signals. They have to ruin it for everyone. I lived in Manhattan for over 20 years and had 3 old VW Beetles while living there. I could make it up 3rd Avenue from 57th Street to 127th Street, 3 to 4 lanes of traffic, including yellow taxis, without getting stopped by a traffic light. 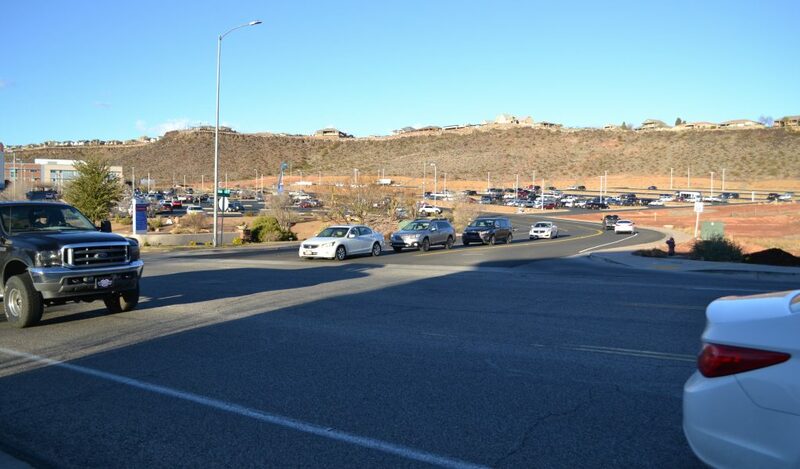 We did NOT buy in St. George because of the traffic and the drivers. I have to say from personal experience biking I have been swiped twice by cars. Thankfully, they weren’t bad enough to cause injury. But I dont even bike that much and still have been hit. I’ve seen some serious accidents between bikers and cars in some roundabouts as well in Bloomington. Drivers simply drive too fast with too many distractions. And you are right too about time spent in traffic. I lived in So. Cal for a few years and this isn’t even close to that. LOL. KR567 – CORRECT. The wake up call is when you come out of unconsciousness and smell burning rubber and oil and realize you’re going to the hospital.